The basis for the "Eviction" is "Tenant will not overload the electrical wiring serving the premises". If this component is untrue then the eviction premise is baseless. I've been using the same "electrician service" since 2007. I'm confident they know what they are doing and when I can't perform an electrical task, I contact my electrician. For "discovery" purposes I think we need to have an interview with Jason Morman's Rain Gutter contractor and get photographs of the old rain gutters. 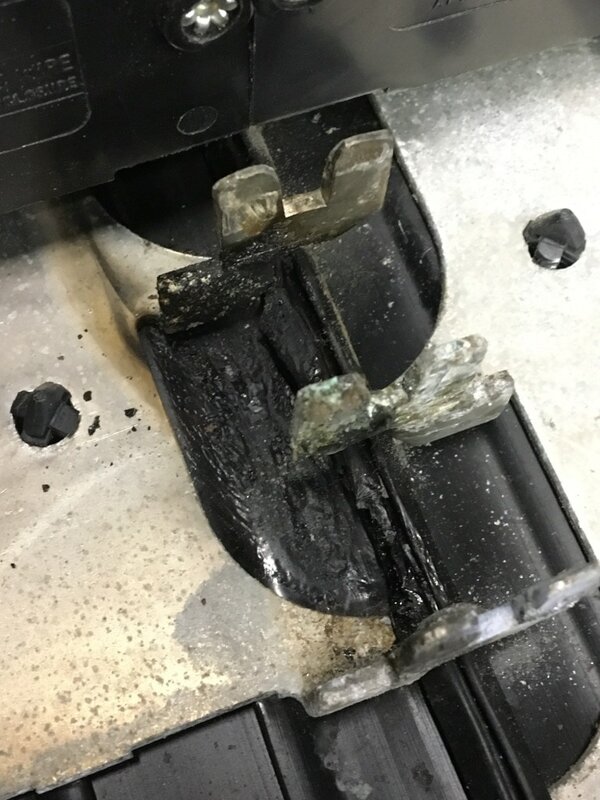 "These are good pics of the breaker panel-they clearly show the buss bars (where the breakers stab into the panel) are burned and damaged, and needed to be replaced. 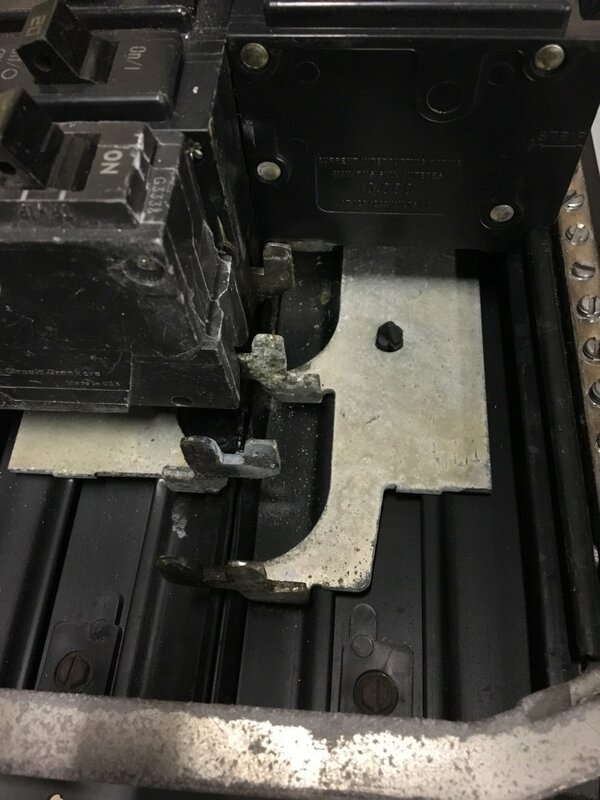 Also, the panel is an ITE brand of panel, and the pics clearly show some GE breakers installed in it, which is an incorrect installation, and could have contributed to the panel being damaged as a result. Kind of like putting Chevy parts on a Ford." These new panels were necessary for several reasons. First and foremost, the old panels had been "rained on" for a good while. The rain gutters outside the building looked like Swiss Cheese. Rain would run off the roof and down the side walls of the building. Water would enter the building via any hole and screw holes, dripping and pooling on and near the electrical panels. 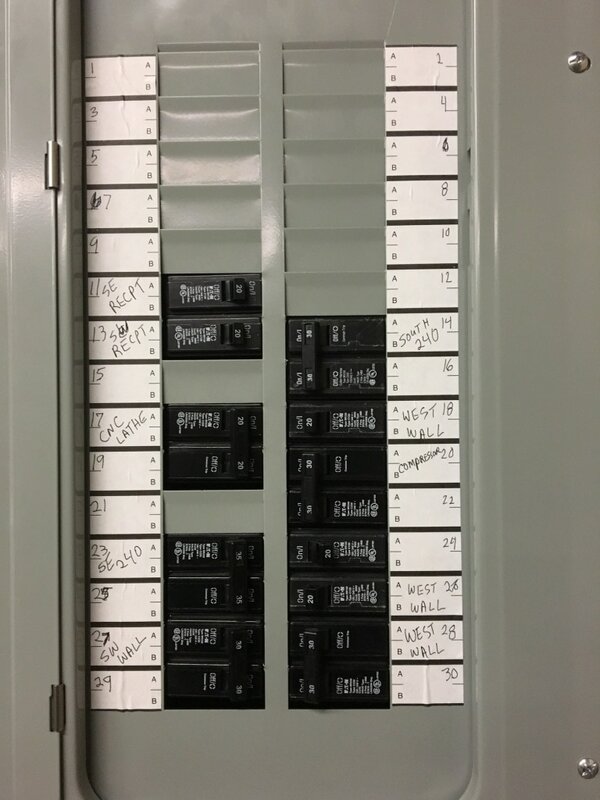 My electricians did as much as they could do to realign existing circuit breakers and give Kam Konnect appropriate power. 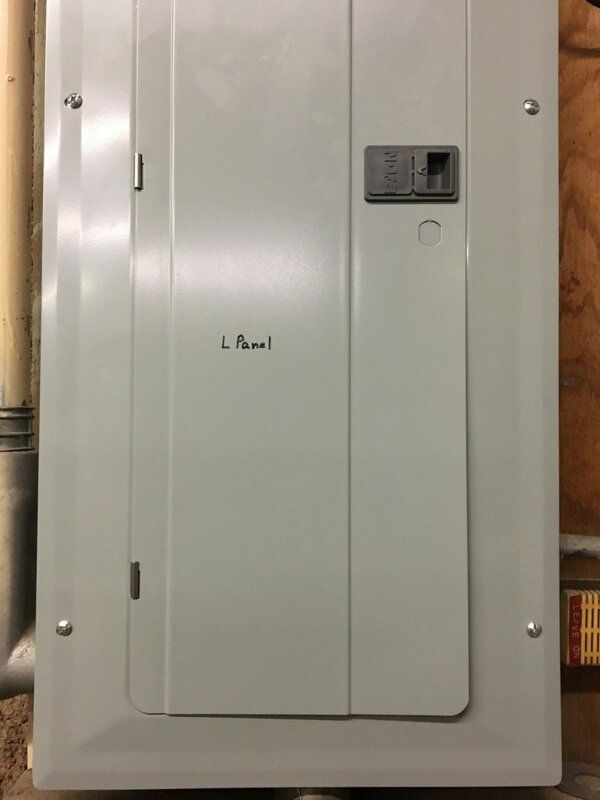 When I engaged them for a proposal to connect my Computer and LAN UPS (Uninterruptible Power Supply) they could not find a useful socket inside the existing circuit breaker boxes. The boxes are old, abused, and damaged by prior tenants and the landlord. Kam Konnect has done nothing to damage these components. Additionally these old boxes are dangerous to work on. There is absolutely no disconnect switch on them from outside power. Electricians have to work on them with live active power. Since the old boxes were defective I asked the new landlord to replace them. I reassured the landlord repeatedly that I would not pay for the boxes since they were defective and they were a part of the building. 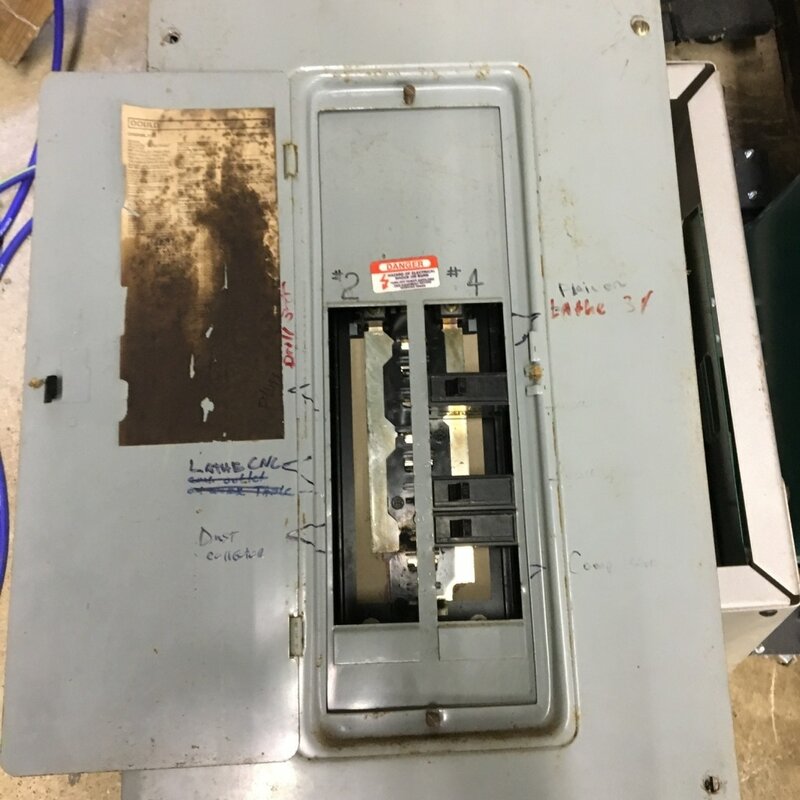 It's not possible for Kam Konnect to operate its business in a building with dangerous defective circuit breaker boxes. Main Panel where power comes in from the outside. 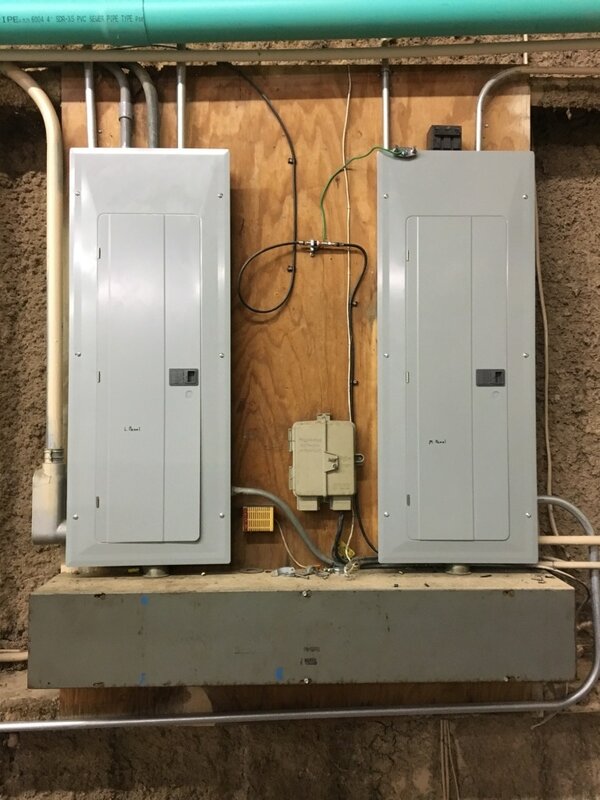 The new Circuit Breaker box installation was "red flagged". 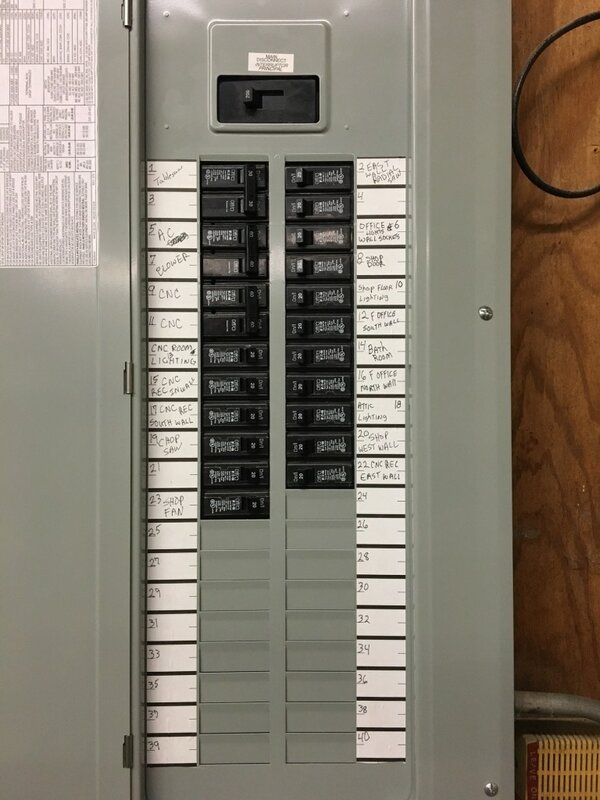 Nick Kondejewski Seabrook's inspector wanted the circuit breakers labeled. Ben and I spent an afternoon finding which circuit breakers controlled which devices, room outlets, lights, etc., We marked the breakers in the boxes and on socket and light covers. When Nick came back for the final inspection it gave Ben an me an opportunity to explain our operation, our desire to wire everything safely, and to understand Nick's perspective. 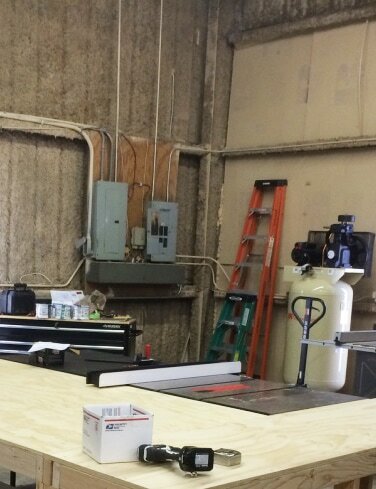 Kam Konnect wants to comply with state and local codes and operate in a safe environment. Nick green lighted the project. As Ben and I walked through the building we found a defective junction box inside the NW Attic wall. The junction box did not have a "top" on it and there was evidence of an electrical fire inside the box. I sent this information to Jason Morman. Jason does not respond directly to my Emails or letters. However in this instance he sent a crew to repair the junction box and re-establish power to the outside light. 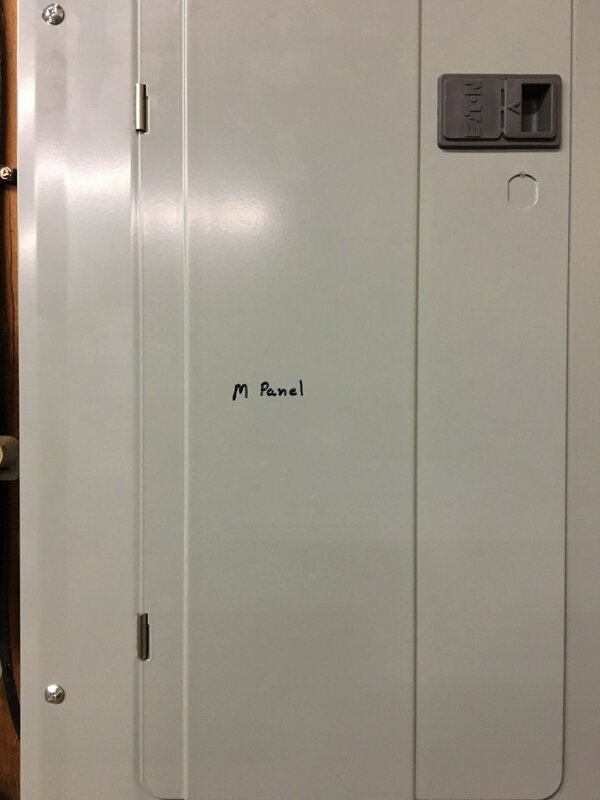 Nick Kondejewski reviewed the Electrical box installation today after Ben Meadows and I annotated circuit breakers inside the boxes. We also made notes on accessible power outlets throughout the building. During Ben's thorough inspection of power drops he found a junction box in the attic leading to an outside light. 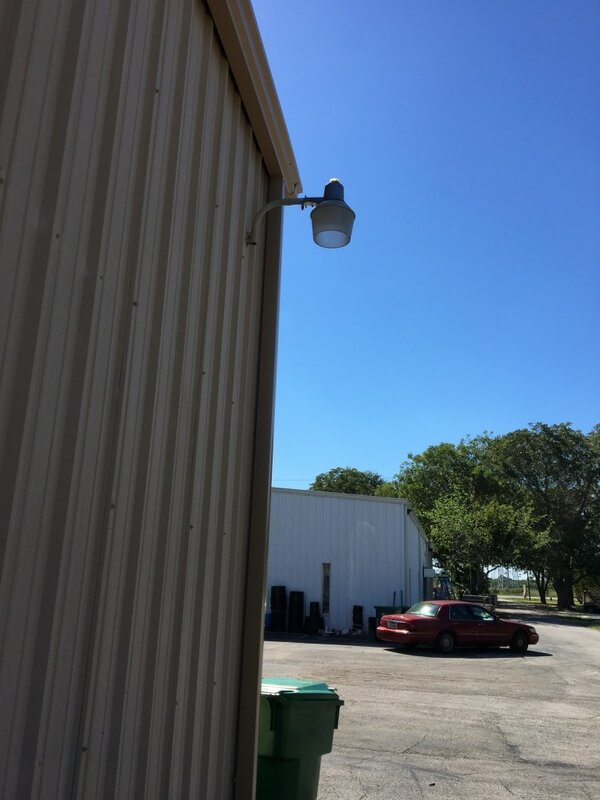 It's my understanding this light has not worked for a long time. The reason it won't work is because there has been an electrical fire inside the junction box. Ben does not believe power is currently active going to the junction box, however an electrician would probably be the best person to make that determination. 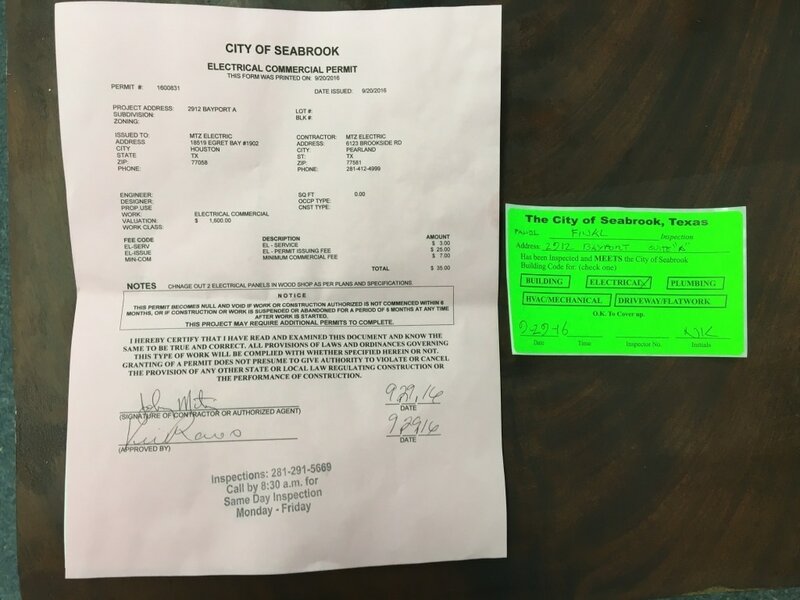 If you need the paperwork shown above its available in our office. Richard Percoco's Electrical Maintenance "backstory". There's a nice black man working (weekends) at the Pawn Shop. Richard uses this man to repair and or maintain his electrics on the campus. We've talked with this man about Richard's upkeep methods. Its poor. Richard is too thrifty to hire qualified electricians to maintain electrics properly. The black man was attempting to find a reason for the outside light being "out". He could not find a reason for the defect.